My experience here is always good never have to wait for anything. The servers here and bartenders r on point but I spend my time upstairs so I have no complaints. Nice place to unwind on after a long day at work or just on a Sunday just to relax. Delicious!! Everything was so flavorful and so good! I’ve found my new favorite Mexican restaurant in town. The rice was amazing and really the best I’ve ever tried! Really nice service but the food could of been better. Awesome food to satisfy all of your family’s tastes. I enjoy the food at this location. It is not too expensive and you can take the family. Always great food and amazing service! Great food, great employees, great place to have family time. family meals at this location - super tasty. I had a cousin come into town and asked me to take him back here. Prices were appropriate. My all time favorite, have been going there since i was a kid!!! My top place for Family Meals. I give this spot two thumbs up. Looking forward to returning with my relatives. Prices are appropriate for the quality. The waiter was very friendly n polite on time with everything we ordered. The nachos could have been served with real nacho cheese. Everything else was delicious, the enchiladas n sopapillas with ice cream. Good food and beer. Good staff to..
Food is delicious, comfortable set up and great service. Atmosphere was good and service was very good. The food was ok (flavor a little subpar for west Texas) that reason only 4 stars. Wonderful food and nice atmosphere! Great employees that are friendly. Clean place. Friendly service and good food. I have always enjoyed the fajita nachos, but the tacos are okay too. 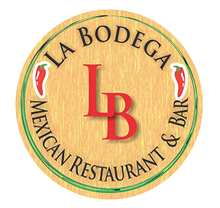 They have great chips and salsa and an excellent margarita! One of my top spots for family meals. Super delicious. Service is consistently above par. Family Meals, very satisfying. Don't fret if it's busy, it is worth the wait. Certainly worth a return visit. The bill was fair for the quality of the food. Good scene for tasty Family Meals. Visited at eight, it was not full. Great food and lots of it. Worth the trip. One of my fav locations for delicious family meals. Filled me up. Nothing but enjoyable experiences here. The bill was fair. I can see why they have so many reviews. The waitress was prompt and courteous and very professional the food was great it was exactly what I wanted. Great atmosphere, good service, delicious food! We don’t live in Odessa anymore, but this has been our favorite restaurant in Odessa for as long as it’s been open for business! So every time we comes through for a visit we stop in for our favorite meal of beef or shrimp chili rellenos!